The school was established in 1903 to provide a safe learning environment for the children of Japanese emigrants and preserve linquistic and cultural heritage and ties to Japan. Today the school’s mission is to promote the sharing and appreciation of the Japanese language and culture with everyone in a safe and welcoming climate with the purpose of promoting global understanding and valuing diversity. All are welcome at Sakura Gakuen to share our passion for learning. A sign in front of the Hiroshima Peace Bell invites visitors to ring it as a declaration for global peace and understanding. “Peace comes with understanding”, is the meaning of the Socrates quote inscribed on the Hiroshima Peace Bell. 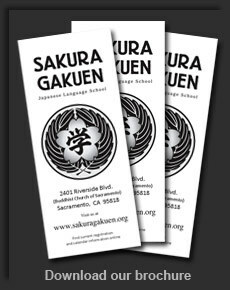 Sakura Gakuen offers instruction in Japanese language and culture to all. 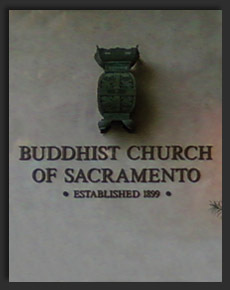 Join us and expand our understanding together. 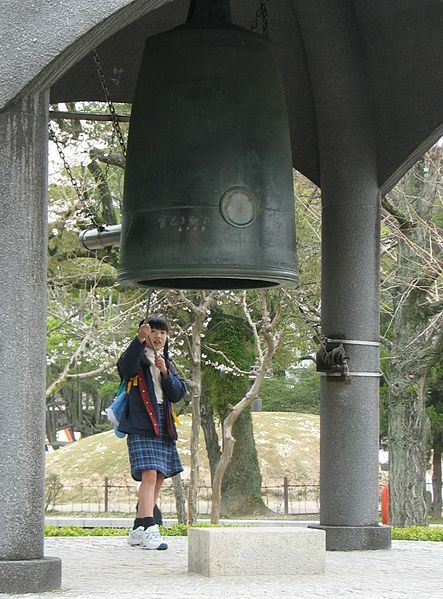 The deep resonating sound of the Hiroshima Peace Bell hear it here can be a reminder of war and a shout out for peace. More facts about the bell. As we approach the 70th anniversary of the dropping of atomic bombs on the cities of Hiroshima and Nagasaki in 1945 and the number of ‘hibakusha’* dwindles, it is the responsibility of succeeding generations to promote greater understanding through the sharing of culture and language in the hope of promoting a world free from the threat of such events. * The surviving victims of the atomic bombings of Hiroshima and Nagasaki are called “hibakusha”, a Japanese word that translates as “explosion-affected people” and is used to refer to people who were exposed to radiation from the bombings.